In the eyecare industry, online retailers are constantly disrupting the market and pressuring ODs and optical dispensaries to adapt to the pressure in order to keep up. The industry standard for optical capture rate is 60%. Unfortunately, online retailers are making it more challenging to meet that number with their low prices. While your in-house dispensaries benefit from being able to provide individualized, expert care to ensure a patient’s Rx order is accurate, many online retailers are creating brick and mortar stores to further disrupt the industry. Today, we offer quick tips to compete with online retailers and keep Rx sales in-house to boost optical dispensing sales. One of the biggest draws of online retailers is the price point. Unfortunately, most optometric practices find it challenging to compete with retailers on price. To reduce the retail price from Rx orders without losing money, your optometric practice can increase the professional service fees for office visits. While the increase in professional fees will cause to you ask a patient for more money on exams, it could assist in driving up frame sales. Charging a patient more money for their visit may not always be the best decision, especially if there are a lot of optometric practices in your community. However, you may still be able to reduce your retail price for Rx orders without losing money or asking your patients to pay more for their exam. 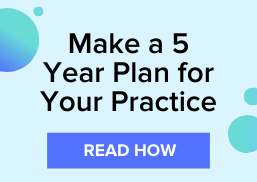 If you want to decrease your retail price of your frames without losing money or charging your patients more for their exam, you can improve your claims management by partnering with an optometry-focused billing service. Using a billing service, your practice put more focus on delivering exceptional patient care while collecting more from claim reimbursements and reducing denials and rejections. 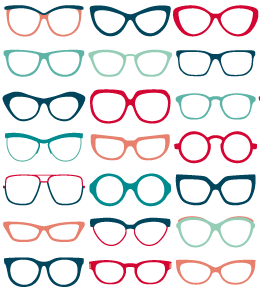 Of course, one of the best methods to keep your patients from ordering frames from online retailers is to educate your patients on the value of purchasing frames from your optometric practice. Taking the time during the patient exam to start educating them on the value your optometric practice provides to patients who purchase frames in-house will increase the chance of a sale and increase optical dispensing profits.